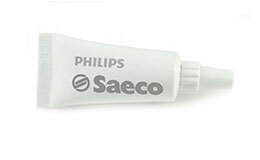 We do not just sell products, we are selling quality. That is why we think that our customer&apos;s satisfaction is our main priorities. PT. Espresso Italia will give you 3 (three) times of free (service charge only) servicing for each of your new Saeco coffee machines. The free services will be valid only if the machine is within Jakarta area and its surroundings (including Depok, Tangerang, and Bekasi). You may choose to contact our After Sales team for free-service scheduling (within 1-2 days after service request). Another alternative is to bring your Saeco coffee machines straight to our office to have immediate assistance by our standby technicians. Moreover, you will also get a special and exclusive 1 (one) time training about how to use and maintain the machines properly. Our trainer will also share the knowledge about the proper way to create various coffee based products such as espresso, black coffee, cappuccino, latte macchiato, etc. Feel free to contact us for more details. 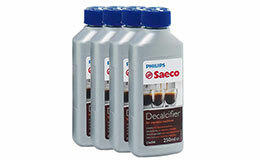 Every Saeco machines comes with a standard 5 (five) years warranty for the Saeco-patented mechanic press (brew group) and 1 (one) year warranty for the Oring Seals category. 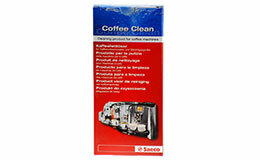 Nevertheless, we also provide proper cleaning products for your Saeco coffee machines. There are 3 (three) types of cleaning products, i.e. : Entkalker (Decalsifier) – to clean the boiler from limestone sedimentations, Cleaning Tablets – to clean the brew group from unwanted dirt and clogging, and also Food Grease - to ensure that the brew group will always work in its optimum performance. Feel free to contact us for more details. If you would like to have a better maintenance system with more advantages, you may also choose our Contract Service package. Instead of contacting us for Regular Service, you may have the privilege to get routine checking every once in a month by our technicians. The Contract Service also comes with a better price packaging compared to the Regular Service. It will even provide a special back-up machine concept if your machine is under repair (*terms and conditions apply). Feel free to contact us for more details. If you would like to ensure that your team will have proper knowledge about coffee (espresso) culture, you have chosen the right place. Our team will also provide both theoretical and technical skill regarding how to brew a cup of perfect espresso and all of its other expansion products. Moreover, the training will be conducted in the most exciting and interesting way in order to keep up the spirit of you and your team members. Feel free to contact us for more details.